We here at Easymove removals Oxford understand removals can be very stressful so what we will do is take all the stress and grief off of your shoulders and place it firmly on ours ensuring you have a pleasant move with no unwanted drama’s. All moves are different which is why your removal will be tailor made around your timescale, needs and budget. Here at Easymove removals Oxford we have a number of cost effective approaches to your move. If you decide you would like to pack your home yourself that’s fine, Easymove will even send you the materials to do so. Alternatively we can send out our team of fully trained and experienced removal men to pack all your belongings for you. 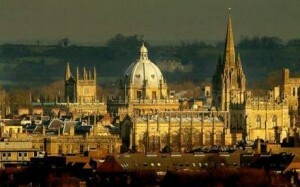 We are one of the leading removal company in Oxford and can offer competitive rates. We take customer satisfaction very seriously and will always strive to improve and not only match your expectations but surpass them. In the unlikely event your possessions are damaged in transit or whilst packing/unloading you will be ensured up to the amount of £100,000. The insurance we offer is included in your overall price. Our Oxfordshire home removals team are dedicated and have years of experience between them. We are confident that we will not only match your expectations but surpass them we pride ourselves on our customer service and are constantly looking for new ways to make your move a happy day for you and your family. The full Monty- Our house removals team in Oxford are fully qualified and have years of experience in packing, transporting and storage. We will pack all your things for you in a matter of hours and then transport your belongings to your new home, we will also provide plastic furniture covers to protect all your upholstery. Fragile packing- Needless to say we are very careful with all of your belongings, however if there are any items in particular that you feel would require extra attention our removals team in Oxford will take the time to assure your valuables remain safe and in good condition. DIY- Easymove removals oxford can provide you with the packing materials you require enabling you to do all your packing. This is not to everyone’s liking however it may be the case that you have private belongings that you don’t necessarily want anyone to see, which is fine and why our Oxford removals team offer this service. Transportation- All our vehicles are driven by fully and experienced staff. Our removal teams in oxford use the most up to date techniques in assuring the safe transportation of your belongings. Unloading- our removal team in the oxford area will unload all your belongings into the correct rooms. They will also re-assemble your furniture for you. Abingdon, Banbury, Bicester, Burford Carterton, Chipping Norton, The Cotswolds, Didcot, Faringdon, Henley-on-Thames, Kidlington, Oxford, Thame, Wallingford, Wantage, Witney, Woodstock.